Reduce clutter and organize your entire multimedia collection withour line of hand-stained Natural Oak Veneer Multimedia racks. These versatile storage systems are finished in oak, cherry and black. The sturdy construction and easy assembly will provide years of stylish functionality. 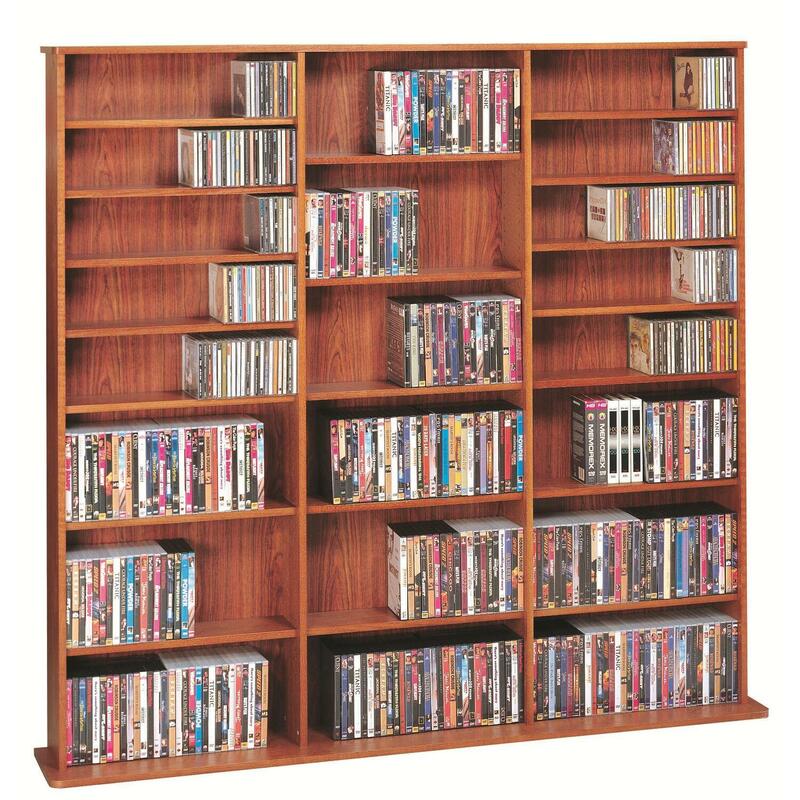 The fully adjustable shelves hold CD's, DVD's, Videotapes and Game Cartridges and is perfect storage system for the Media Room, Home Office or anywhere you can use additional space. These shelves are well made and mostly wood-veneer covered. They look good and don''t have any trim to reduce storage area. As advertized, it holds approximately 1500 CDs, and is very nice as well -- oak veneer (real wood!) with a hard varnish factory finish.